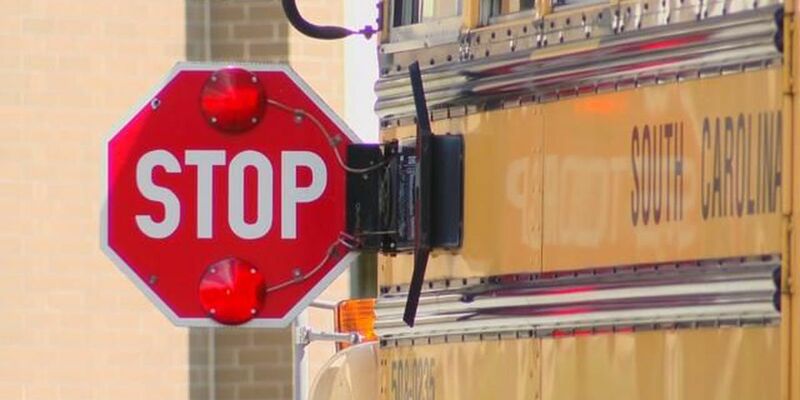 HORRY COUNTY, SC (WMBF) – School closings have begun to come in ahead of Michael’s impacts to the Carolinas on Thursday. Horry County Schools announced on social media that classes were canceled on Thursday due to the storm. In a Facebook post, Georgetown County School District announced schools and all facilities will be closed Thursday for all students and employees due to the prediction of high winds and strong gusts, including the threat of tornadic activity. All after-school activities and sporting events scheduled for tomorrow are also canceled. Additionally, all extended day programs will be canceled. Marlboro County School District will be closed Thursday, Oct. 11. Dillon School District Three and Four will be closed Thursday, Oct. 11, 2018. Florence County School District Three will be closed Thursday, Oct. 11, for students and employees whose contracts are 190 days or less. The district will also operate on a two-hour delay for students on Friday, Oct. 12. Employees should report at their normal times Friday. In addition, after-school programs that provide bus transportation for students are cancelled for Wednesday, according to information from FCSD3. Florence County School District Five (Johnsonville) will be closed on Thursday, October 11, due to impending weather from Hurricane Michael. All after school activities are cancelled Wednesday afternoon. On Friday, October 12, we will the district will operate under a two-hour delay. Marion County School District will be closed Thursday, October 11, 2018. All student activities for this afternoon, Wednesday, October 10, 2018, and Thursday are canceled. The King’s Academy will be closed on Thursday. Darlington County School District schools and district offices will be closed Thursday, Oct. 11, due to the threat of inclement weather. Marlboro County School District will be closed tomorrow, Thursday, October 11, 2018. Robeson County Schools and all after-school activities (including Driver Education) for Thursday, October 11th have been canceled. Robeson County (PSRC) will be closed on Thursday, October 11th for students and staff. All sports and extracurricular activities (including Driver’s Ed) have are also cancelled for Thursday, October 11th. On Friday, October 12th schools will remain closed for students and there will be a two-hour delay for central office staff, school administrators and custodians as they inspect school campuses . Scotland County Schools and district offices will be closed on Thursday, October 11 for both students and staff. All campuses of Northeastern Technical College will be closed on Thursday, October 11, 2018 due to impending inclement weather from Hurricane Michael. This includes campuses in Cheraw, Bennettsville, Dillon and Pageland. Robeson Community College will be closed on Thursday October 11. Check back with this list as more cancellations come in.